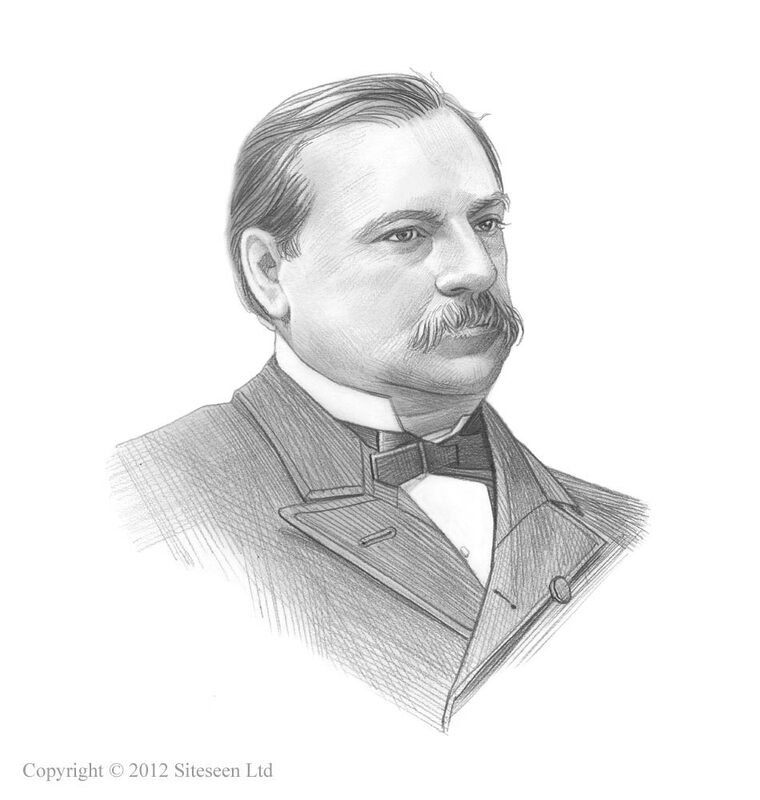 Pullman Strike: Grover Cleveland was the 22nd and 24th American President who served in office from March 4, 1885 to March 4, 1889 and from March 4, 1893 - March 4,1897. One of the important events during his presidency was the Pullman Strike. Summary and definition: The Pullman Strike started in the Pullman district in the south side of Chicago during 1894 and spread across the country. George Mortimer Pullman (1831 – 1897) designed the Pullman sleeping car and founded a company town for the workers who worked for him. Following the economic depression caused by the Panic of 1893 George Pullman increased working hours, cut wages and cut jobs. The workers belonged to the American Railroad Union (ARU) founded by Eugene V. Debs. The workers protested and started the Pullman Strike on May 11, 1894 and violence broke out. George Pullman and the railroads gained the support of President Cleveland for the use of US troops who used harsh methods to suppress the strikers. Debs was sent to jail and the strike was broken by July 17, 1894. The 1894 Pullman Strike pitted the workers of the Pullman Palace Car Company owned by 'Robber Baron' George Mortimer Pullman. The strike erupted following harsh measures by George Pullman to recoup his profits following the economic depression caused by the Panic of 1893. The Pullman strike spread across the nation and was suppressed by federal troops. George Pullman built a model city to house his workers and they were required to live there. The model city centered around the factory and consisted of over 1000 homes and public buildings included a bank, church, library, theatre, post office and parks. But everything came at a cost. Workers were even charged to use the library. Rent was taken out of the wages. Investors in the city expected a 6% return on their investment. And workers were expected to adhere to a code of behavior. George Pullman wanted total control over his workforce. Interesting facts about the Pullman Strike are detailed below. The arrests included Officers of the American Railway Union and Eugene V. Debs, George W. Howard and Sylvester Keliher were found guilty of different offences. Union leader Eugene V. Debs was jailed for six months for contempt of court. Workers representatives met with the company owner George Pullman but he refused to restore the wages or to reduce rents. The representatives were later dismissed from the company. In the early Spring of 1894 the company announced that the workers either accepted a wage cut or the factory would have to shut. By May the workers protested they were unable to survive on the wages and asked the company to restore the old rates of pay. The American Railway Union, led by Eugene V. Debs, stepped in. Eugene Debs ordered a nationwide boycott of all Pullman cars that covered most railroads in the country encouraging protests from the porters, engineers, brakemen, and switchmen. The protests, rallies and demonstrations turned violent. There were riots, property was destroyed trains were derailed. Any workers attempting to work were threatened and intimidated. Governor Altgeld sent local militia to quell the riots - but many of the militia openly sympathized with the strikers. George Pullman and the owners of the railroads applied pressure on President Cleveland and his administration. The strikers had resisted deputy marshals and had hindered to US postal service which gave the President a reason to send in Federal troops. On July 2, 1894 a Federal writ was issued forbidding all interference with the US mail and with interstate railroad commerce. Violence and riots spread across the country and the President threatened the strikers with the full force of the US Army and Labor leaders and strikers were arrested. The government argued that by striking, the railroad workers were placing a restraint on trade and commerce, resulting in a direct violation of the Sherman Antitrust Act. The Pullman strikers were unable to resist the might of the United States government and on August 5, 1894 all labor action was stopped - the Pullman Strike was over. Four years later the 1898 Erdman Railway Labor Act set up arbitration procedures to settle railway disputes.